“The British and the French, until they ratify, are sending a message to the other countries of the world that law is only for the little people and not for us. That’s a real problem, the ICC needs to work with the civil society, diplomats and others to try to close and narrow this gap and send a different message,” said Ferencz during the interview with Justice Hub. Our interview with Ferencz is edited slightly for clarity and published here as part of our #MyJustice series. To read the other instalments in this series, click here for the interview with Jennifer Trahan, a Clinical Professor at NYU’s Center for Global Affairs and here for the write-up of our chat with Sheryn Omeri, a barrister at Cloisters Chambers. Justice Hub: What’s the context behind this activation on July 17 of the crime of aggression at the ICC? Ferencz: When looking at the relatively modern efforts to criminalise what we now call ‘aggression’, I think it’s quite helpful to begin with the writings of a Swiss jurist, Emerich de Vattel. In his “The Law of Nations” book from 1758 he said something really quite modern: the sovereign who takes his nation into an unjust war (meaning a non-defensive war) is guilty of a crime not only against the people he attacks, but also his own people whose lives are also very often in ruin. He ends by saying, and this is a quote: “Finally he is guilty of a crime against mankind in general whose peace he disturbs”. Then fast forward to the Nuremberg trials at the end of WWII, which everyone knows was the opportunity for the world to step forward with respect to aggression. When the American prosecutor, Robert Jackson, addressed the Nuremberg Tribunal, in his opening statement he said something very interesting. He said, “the common sense of mankind demands that law shall not stop with the punishment of petty crimes by little people, but should also reach men who possess themselves of great power and make deliberate and concerted use of it to set in motion evils which leave no home in the world untouched”. Why did he say that? He was looking at the court and effectively saying – in between the lines – your honours, we may not yet have an undisputed law that has criminalised what the Germans did, but the common sense of mankind demands that there is natural law that demands punishment for this crime. 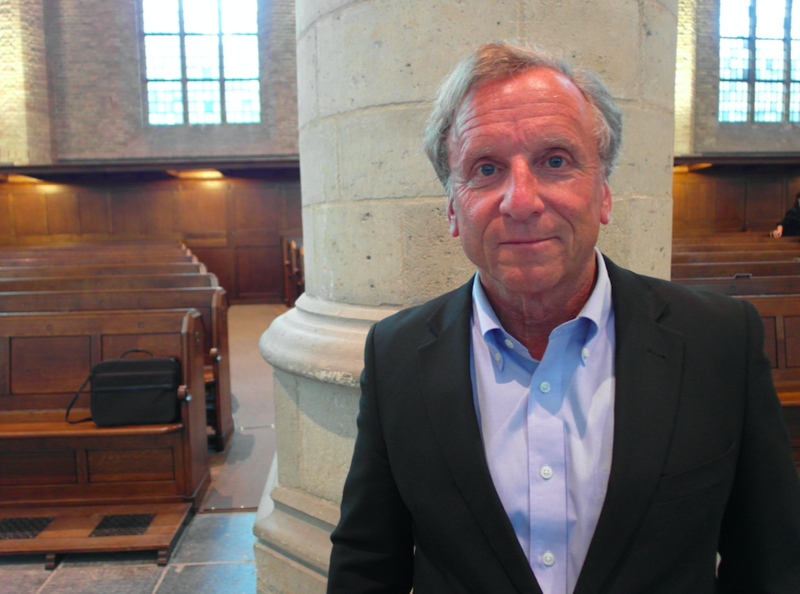 Justice Hub: Fast forward again to the ICC? Ferencz: Well, a few weeks after the Nuremberg judgement, the United Nations General Assembly in 1946 universalises the Nuremberg principles by unanimously approving them. But during the Cold War, there’s little progress, and the UN’s International Law Commission works on many drafts of laws aimed at preserving the peace and security of mankind. And finally, effectively, those are adopted in the Rome Statute in 1998 and the ICC came into existence. But the crime of aggression was put on ice. It was put in legal limbo. 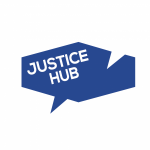 Justice Hub: Why was the crime of aggression in legal limbo? Because the permanent members of the UN Security Council said that they didn’t want an international, independent, criminal court dealing with the crime of aggression. Under Article 39 of the UN Charter, only they had the right to determine when an act of aggression had occurred and they didn’t want to delegate that to anybody else. So the members of the ICC agreed, “ok we are not going to activate the court’s jurisdiction of aggression until we get a definition and jurisdictional condition.” That happened at the ICC’s Kampala review conference in 2010. Yet, once again, the prominent members of the Security Council, who were members of the court, that’s France and Britain, took a lead role in making sure that what was unanimously adopted in Kampala would not become effective for quite some period of time. First, they required 30 ratifications before it could be effective for anyone. And they layered a seven-year delay on top of it. This whole thing, that was unanimously approved in Kampala, has had to be re-approved unanimously by consent, effectively by the entire Assembly of States Parties [meeting of state members of the ICC], once again. Now in exchange for all those concessions, what did the little people get in Kampala? They got a provision that said if you are already a member of the ICC, you’ve agreed that if you don’t want your country to potentially face a referral by the prosecutor or another state, you must publicly opt out of this new crime and pay the political cost of doing so. That was the crumb that was put on the counterbalance of the scale. But, at the end of the day, when it came up for the final activation approval, the British and the French combined to say to the Assembly of States Parties “excuse me we don’t share what you think is agreed in Kampala. You have two choices tonight, take it or leave it. Here’s our proposal: it is only activated if a state independently ratifies these provisions. Therefore, what was agreed to in Kampala is hereby effectively, by us, being overridden”. So this delicate balance of compromise in Kampala was effectively undone by the British and the French on the night of 14 December 2017. Justice Hub: How do you feel about this activation then? Ferencz: I think that it was successful in the sense of the following: studies have shown that saying something is illegal apparently makes it seem more immoral to people. Justice Hub: But what does having this new crime at the ICC really mean going forward? It means this: those nations that sat in judgement at Nuremberg who are members of the court [France and Britain] have two choices. They can look absolutely hypocritical in failing to ratify these aggression amendments and therefore effectively saying to the world, “This law is for the little people only. It’s not for us”. As Robert Jackson said at Nuremberg, if the law of aggression is to mean anything it must not only be applied first against the German aggressors but it must also be a law for the future to be applied even against those “who sit here now in judgement”. That was the vision. It wasn’t supposed to be the victor’s justice or vengeance over only the defeated. It was to set a law that said even if you win the next war, you’re subject to these rules just like everybody else. So there’s a lot of work that needs to be done in overcoming this very obvious inequality in the law of the international sphere. The British and the French, until they ratify, are sending a message to the other countries of the world that law is only for the little people and not for us. That’s a real problem, the ICC needs to work with the civil society, diplomats and others to try to close and narrow this gap and send a different message. Justice Hub: What would you like to see the ICC prosecutor do when the aggression activation comes into force? Ferencz: I think the prosecutor’s office can continue using its influence in an effective way without alienating the political partners that it needs the support of. It can and should use its influence to show that it is in favour of a wide ratification of the Kampala amendments so as not itself to get tangled up with this inequality and look like it is part of the problem. The prosecutor’s office has the task of telling powerful countries that they are not beyond investigation by the court. They have to keep on with that effort to show that the ICC is truly court for the world. One of the ways that they can do that is to work towards trying to get more ratifications by countries which have hitherto said they cannot possibly ratify because they don’t really know what it means. They’ve argued there’s been too much ambiguity about who will be covered and who won’t. Justice Hub: It sounds as if this new crime of aggression is just going to reinforce the current unequal system of justice. There’s another level of hypocrisy here that I think is very important and the ICC can do something about it. Think about this, if you are an ordinary soldier – for example, fighting for the United Kingdom – a man or woman who goes out into the field offering some sort of sacrifice to fight and die for your country, if you commit a war crime you can be held liable and accountable to law in Britain. You can be jailed for it. And yet the leaders who knowingly lie to the country and send you out to fight in violation of what Nuremberg characterised as a supreme international crime, the biggest crime of all, they are completely beyond the reach of the law both domestically in the UK, because there is no crime of aggression in domestic law and until and unless the Security Council refers the case, they are again completely beyond the reach of the ICC. If I were a British soldier going out to fight I’d like to think that the person who sent me is also subject to the rule of law and I bet you and most people feel that way.